2. Performs stably and Easily used. 3. Straw type & Gun type. 5. Good gap filling properties and insulation characteristics. 6. It contains CFC-free propellants which are harmless to the ozone layer. 1. 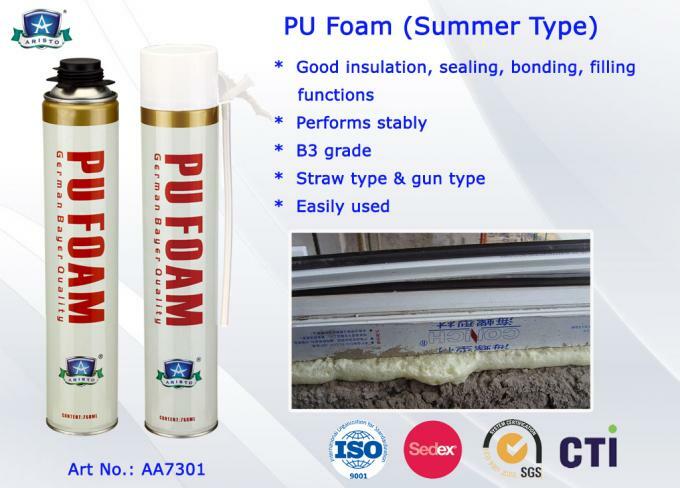 Aristo PU Foam (summer type) can be used to economically insulate,seal,bond,fill and stop air infiltration. 2. 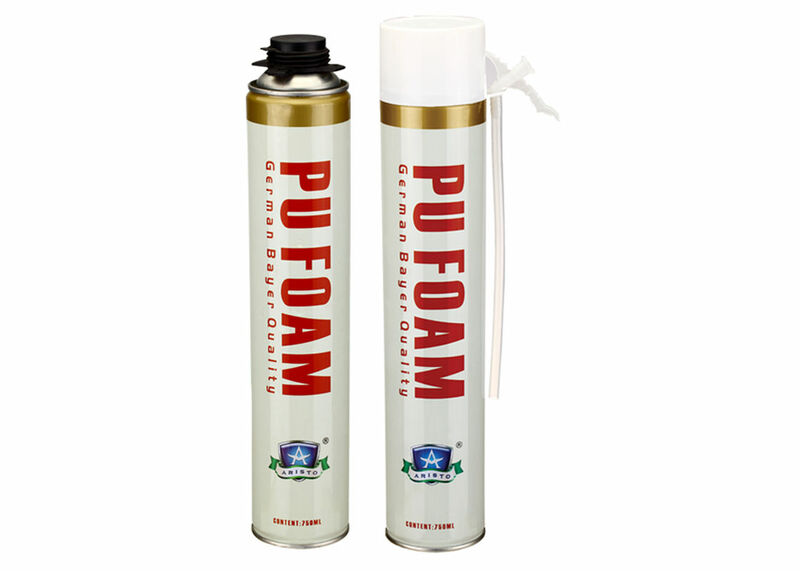 One-componet foams cure when moisture in the air reacts with the chemistry of the foam. 3. It is applied to door and window installation,advrtisement model,sound insulation and absorption,gardening,daily maintenance,resisting water and fixing leak,packing and transportation etc. 1. Used for bonding and installation of various doors and windows,glas skylight,vitrine. 2. Used for other industrial area,before replacing baseboards,window or door frames. 3. Sealing for aluminum and glass-curtain-wall. 4. Paint outdoor applications to avoid discoloration.wait until foam is rigid before painting or trimming. 5. It can be applied to damp surfaces.the more moisture,the quicker the cure.